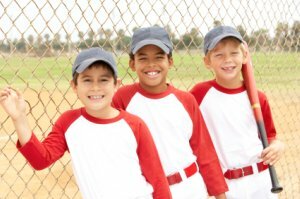 11 and 12 year old baseball players typically have at least two or three years of kid pitch under their belt and are ready to really step up their level of play. Boys at this age will start to make plays that will impress you. More hitters will start to hit the baseball out of the infield. And outfielders will start to make more catches than they drop. Baseball drills for 11 and 12 year olds need to keep up with these growing skills. Many players will switch teams during these ages and you will see new teams forming. Skill levels start to separate players into different leagues and tournaments. At these ages more and more teams start to travel. State tournaments become more than just a handful of teams. Many teams will start to play fall baseball. In other words a lot of players, parents and teams step up their competition. You will also start to see the first fall out of some players. Football players will skip fall ball and slowly drop out of baseball. Many basketball players will do the same. However many of those players will stay with baseball a few more years in the recreational leagues. Baseball will be played at many different levels. So baseball drills for 11 and 12 year olds will need to be mixed up for your level of play. 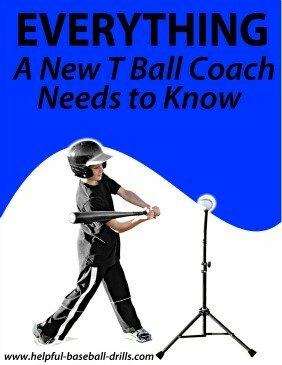 Having said that, baseball drills for 11 and 12 year olds is about the last ages where every level of teams should do the same drills. It is just that competitive teams will practice them more. Baseball teams at all levels should be able to learn relay and cutoff drills. All pitchers at this age should learn to cover first base on grounds ball to the right side of the infield. You can learn that drill and many other great pitching drills at the pitching page. I am a big believer that boys 11 and 12 years old should not be throwing curve balls or any other breaking pitches. Their arms have just not developed enough to withstand that kind of punishment. And more than likely they will not receive the proper instructions. Please just have them work on hitting locations. Have your pitchers work on keeping the baseball down and moving it from inside to outside. 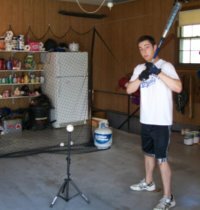 Check this article, Baseball Pitching Drills, for more baseball drills for 11 and 12 year olds and pitching tips. 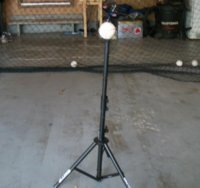 Hitting Drills should continue to be about the same as before, just more practice time. If pitchers are following the tips in the last paragraph, then hitters need to keep improving. They need to work on covering the whole plate. If you are throwing batting practice, be sure and mix up the throws. Give them a taste of inside and outside pitches. Good pitchers at this age are going to hit those spots. And by all means add bunting practice to your baseball drills for 11 and 12 year olds. It takes some good hand eye coordination to hit a baseball. But anyone can be taught to bunt. Be sure they square up towards the field and slide the top hand down the bat. A hitter who is struggling at the plate will feel good about himself if he can bunt the winning run over to second. I’m not advocating taking the bat out of anyone’s hand very often. But if it is late in a close game, then by all means go ahead. Teams this age should be able to turn a double play now and then. They should definitely be getting the lead runner on infield plays. Check out our infield throwing article for more baseball drills for 11 and 12 year olds infielders. Like I said above, outfielders should start making more plays. More baseball drills for 11 and 12 year olds needs to be devoted to outfield play. 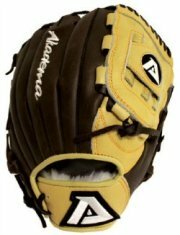 And it is time to start putting some of your faster players in the outfield. You don’t just try and hide your weaker fielders in the outfield anymore. Your centerfielder should be one of your more athletic players. This is the perfect age for the outfielder’s drill on the Baseball Practice Drills page. Be sure and check it out and run that drill a lot. I talked about how players change teams a lot during these ages. Lots of players this age and parents of these players decide they want more competition in baseball, or not. To get better at playing baseball you need to play better competition. And to have success playing better competition you need to practice more. As always, remember to make sure your players are having some fun.